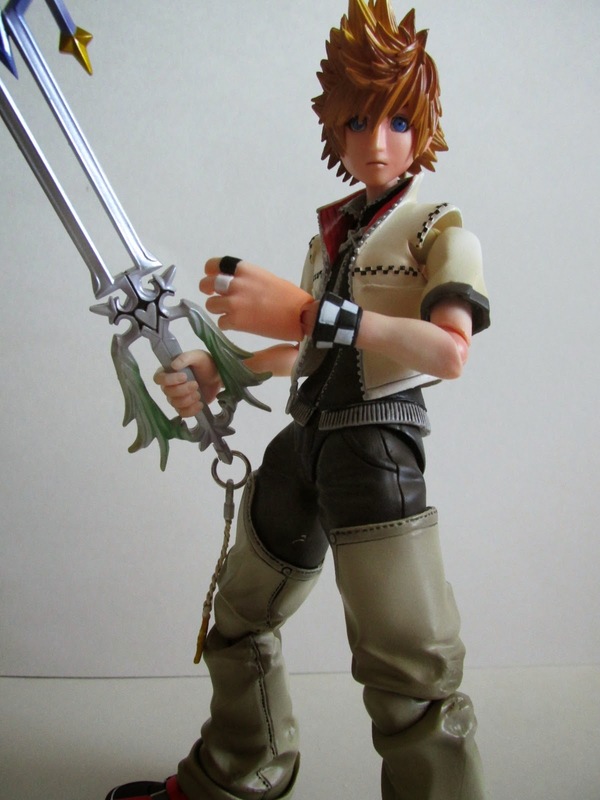 Last week I showed off Sora, the latest release from Square Enix's Play Arts Kai line. This week I bring to you, Roxas. 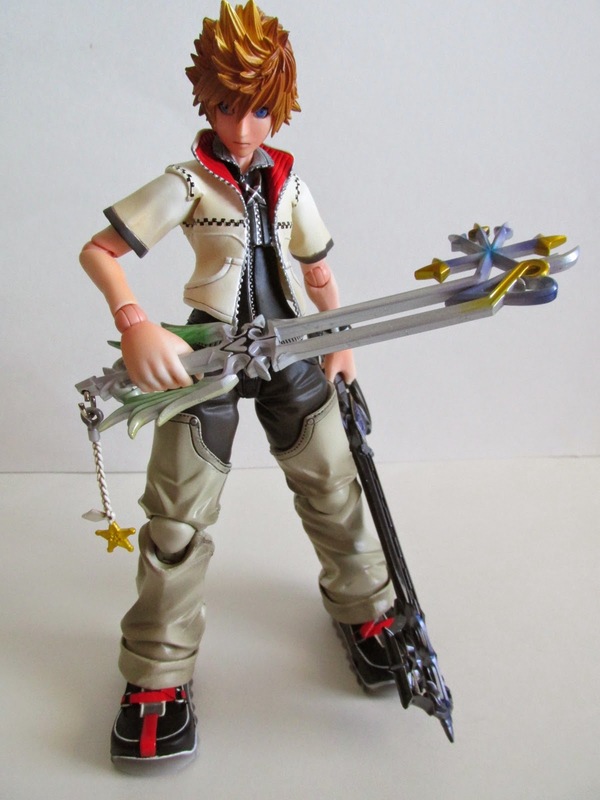 Unlike Sora who is styled in the Play Arts Kai style, Roxas seems to have retained more of his look that we remember from Kingdom Hearts II. 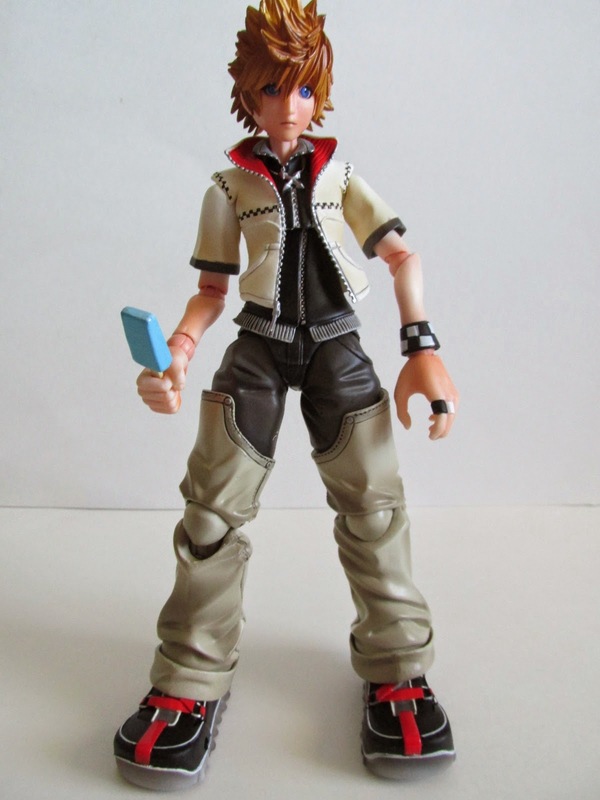 This is a good thing too, and Roxas just looks ten times better than Sora in terms of a true adaptation of a video game figure. Roxas's eyes just look better and don't give off that alien like vibe that Sora seemed to have. 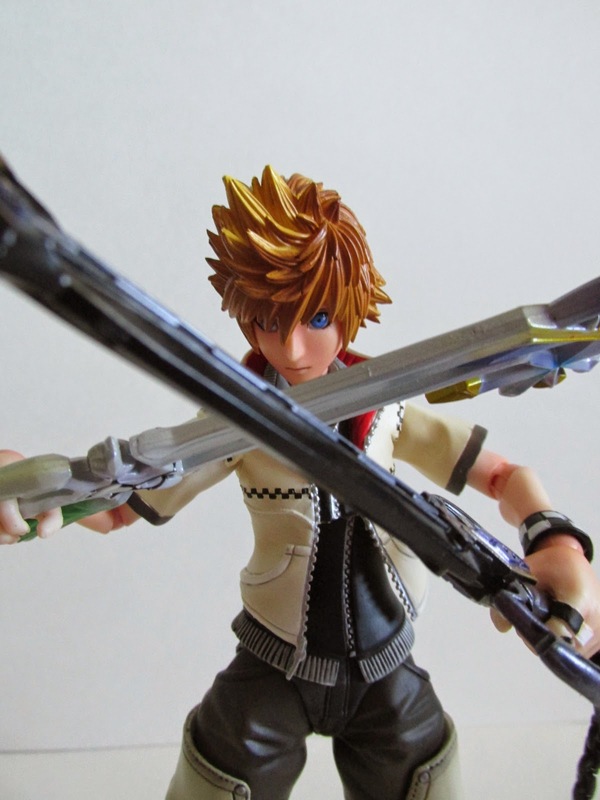 Compared to Sora, Roxas has white in his eyes, and I think this really helps this figure stay true to his video game counter part. 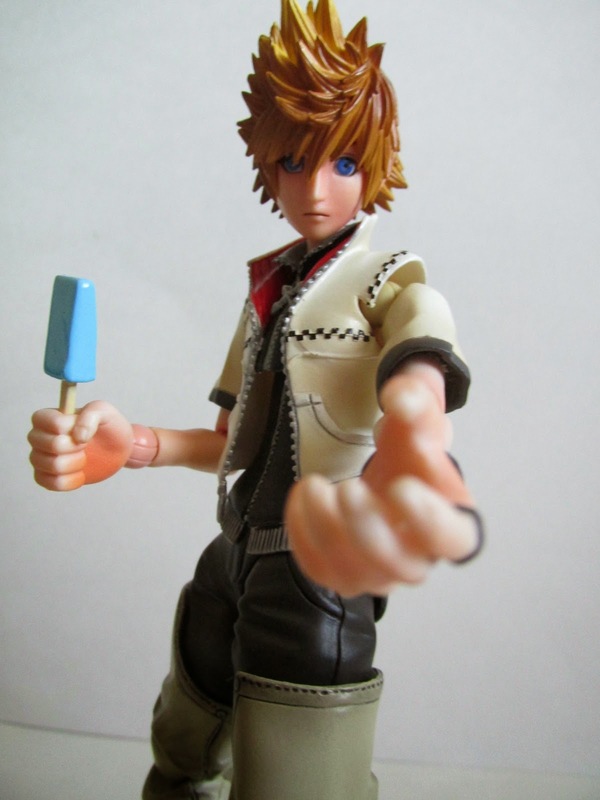 Roxas comes with his Oathkeeper keyblade, Oblivion keyblade, a pair of fists, a pair of open hands, a pair of keyblade holding hands, one right hand to hold his sea salt ice cream, and one sea salt ice cream bar. As usual his accessories are finely detailed in sculpt and in the paint. One thing to note though, his sea salt ice cream bar is made of a soft rubber, and I can foresee this being an accessory that is easily bent or broken because of its softness. I almost ripped the bar from the popsicle stick when I put it into his hand simply because the stick is just so flimsy. I would gently push the stick in and also not jam it into far to avoid any further damage. 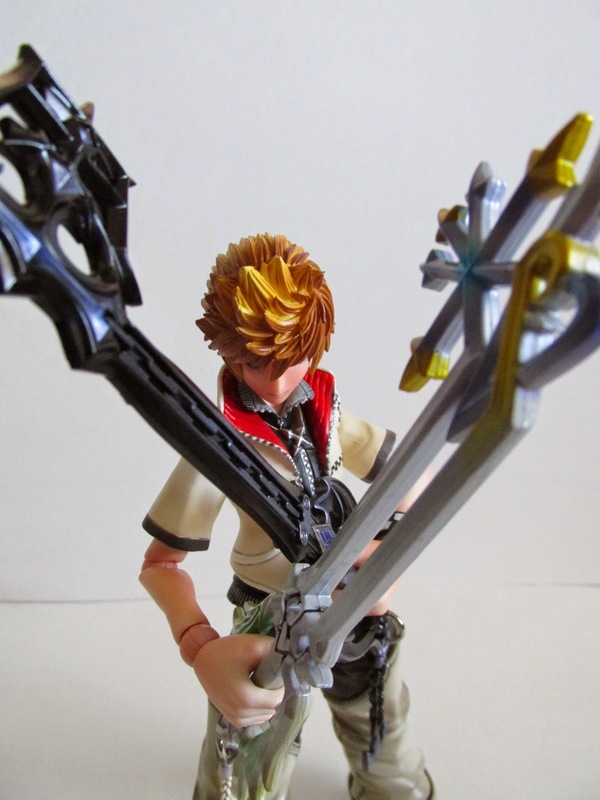 Sora had great articulation, and Roxas has this same great feature too. Unfortunately, his feet do not have this feature. 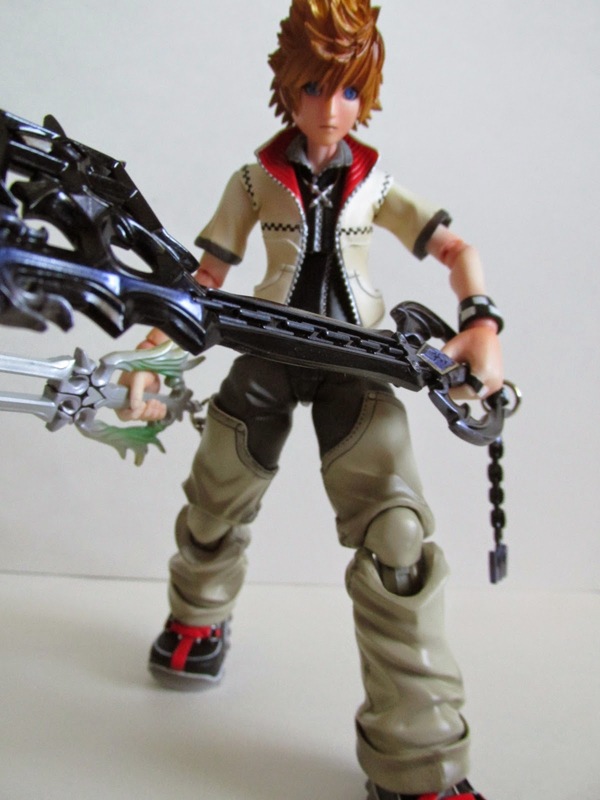 Yes, he can move his toes up and down, but he doesn't have an ankle pivot like Sora does. On top of this, he can't move his feet too much because the hem of his pants are blocking any real movement. 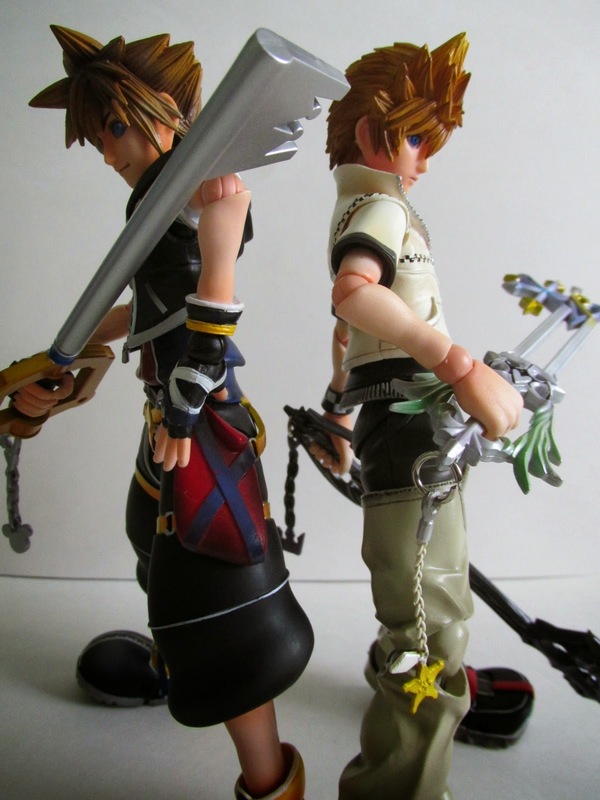 A small little tidbit, but Roxas can still stand fine. 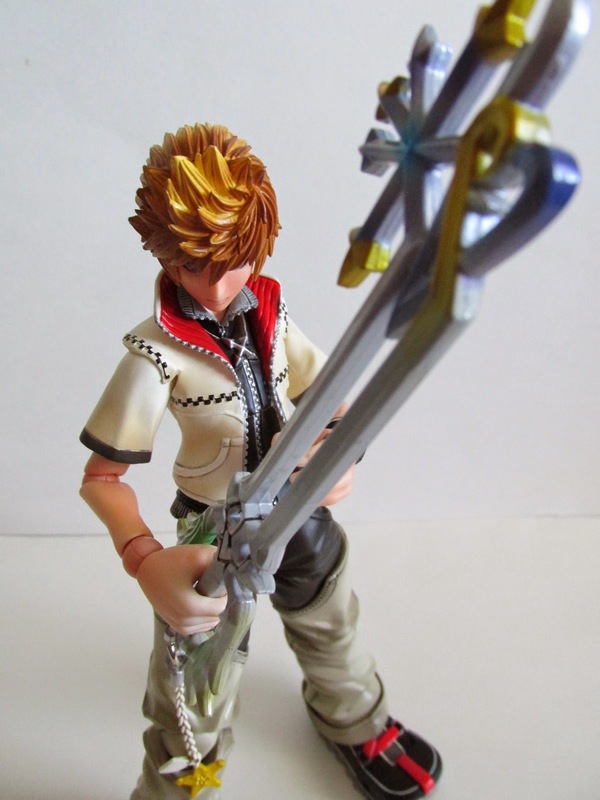 Roxas is a great figure all around, and I prefer him more than Sora. 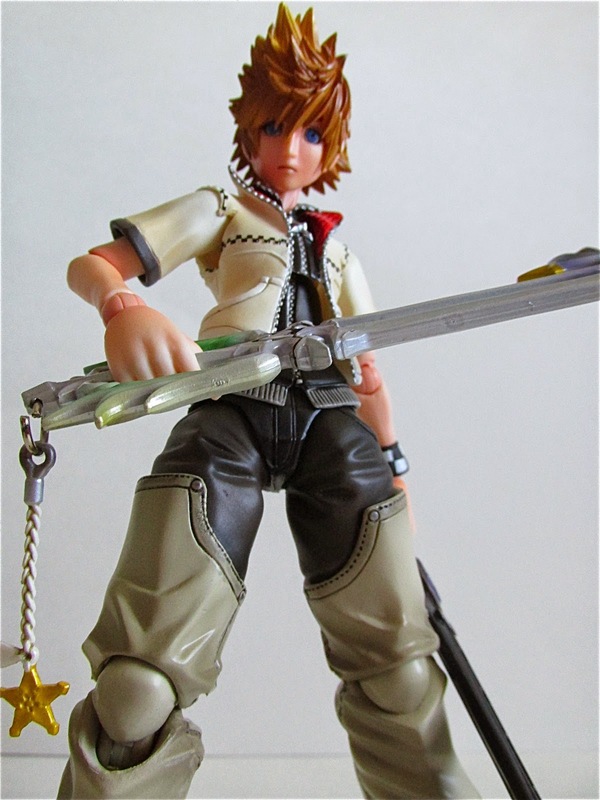 Roxas also seems to photograph better from any angle, and his stoic expression also fits much better to this figure. Kingdom Hearts fans don't have to be really sold to buy this, but if you are on the fence I would say, "You should just buy this to avoid any regrets." 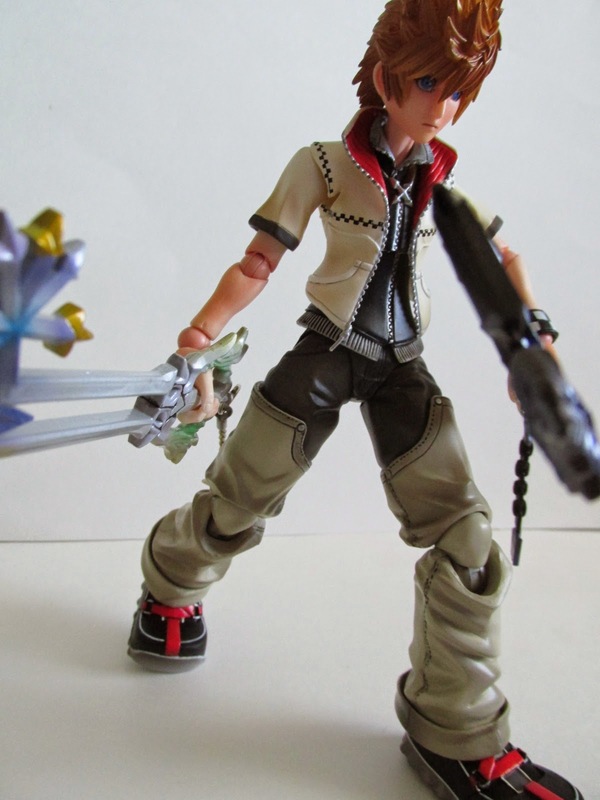 Hurry and get Roxas now. I don't think he will last much longer.